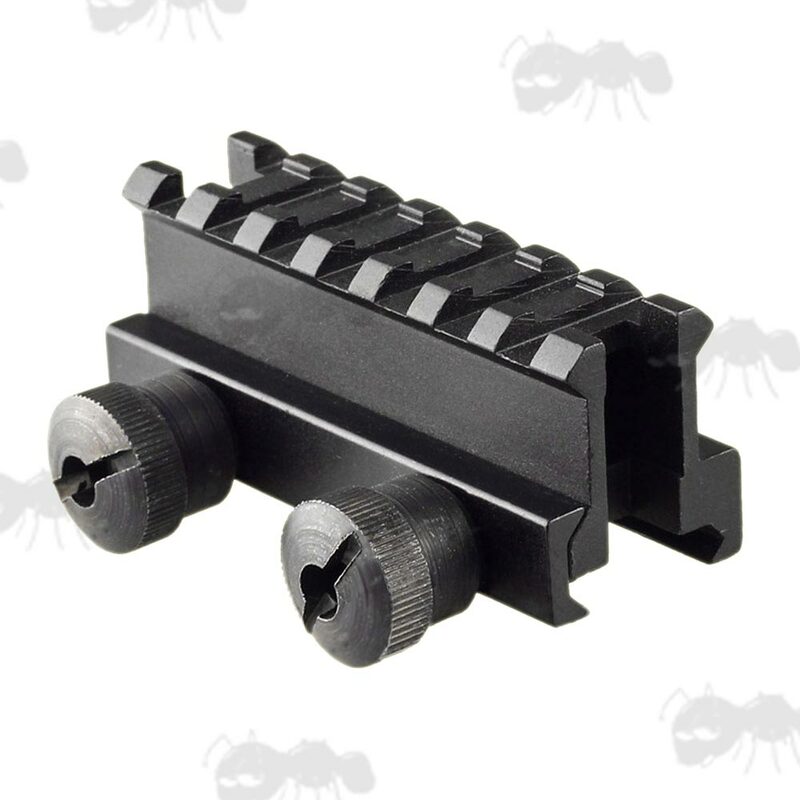 A range of short to medium length riser rails. Elevates 3/4 inch / 19mm. 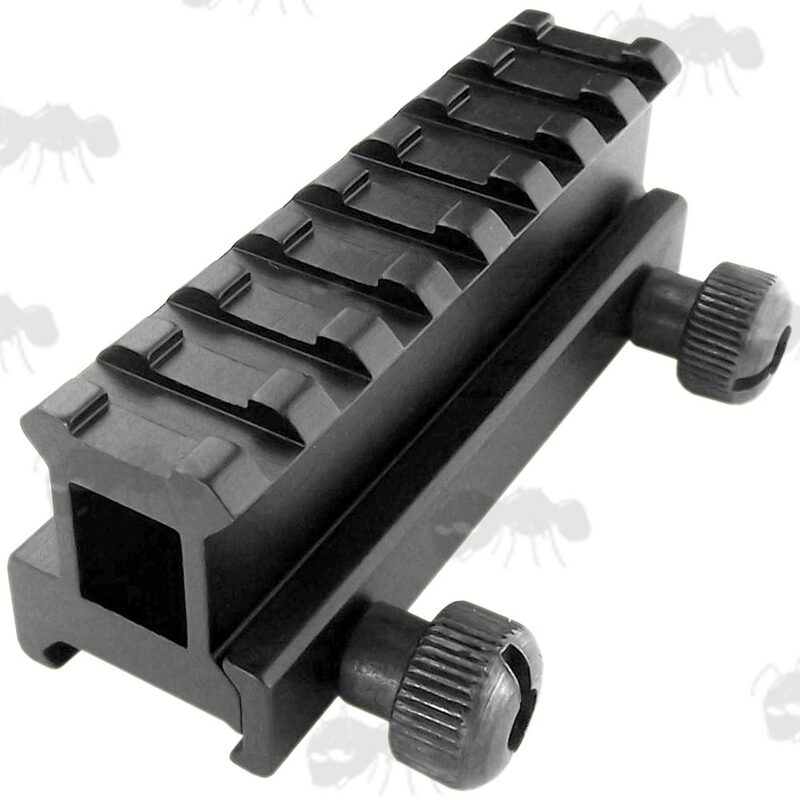 3.11 inches / 79mm long overall. 3 inches / 76mm long overall. Elevates 1/2 inch / 12mm. 3.25 inches / 85mm long overall. 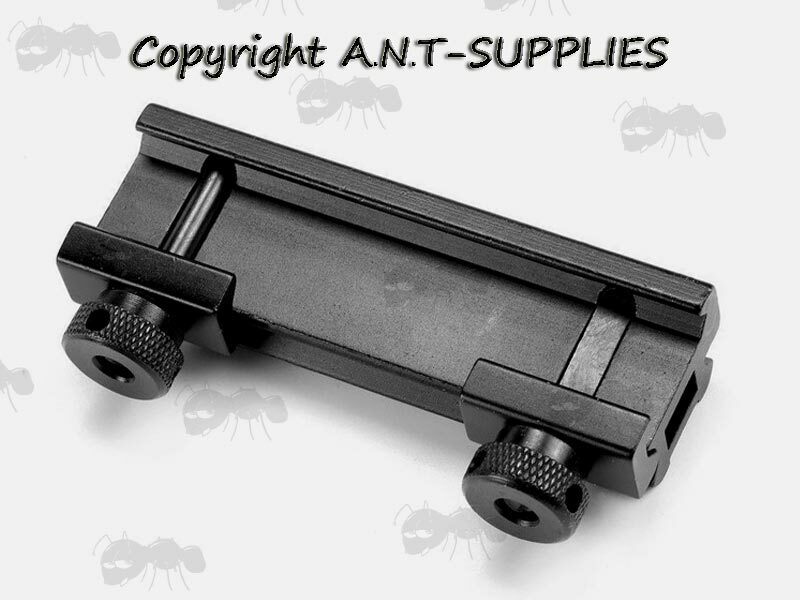 20mm wide rail for weaver or picatinny mount fittings. 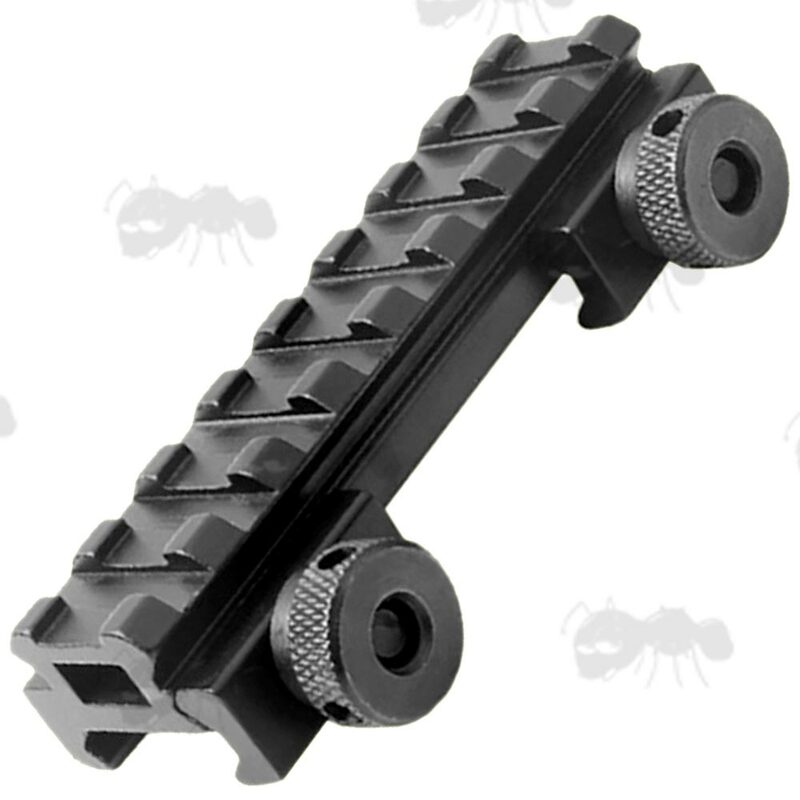 Easy and fast to install for a very sturdy hold from the knurled fixing nuts. 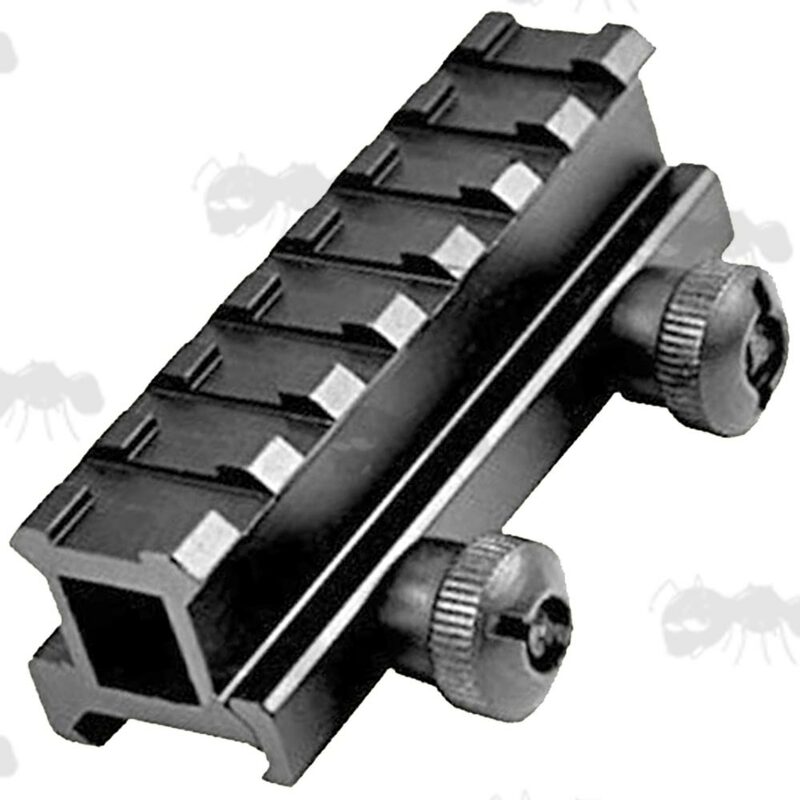 The short rails have location bars / bolt shafts on the bases with a spacing of 37mm on from inner edge to edge. 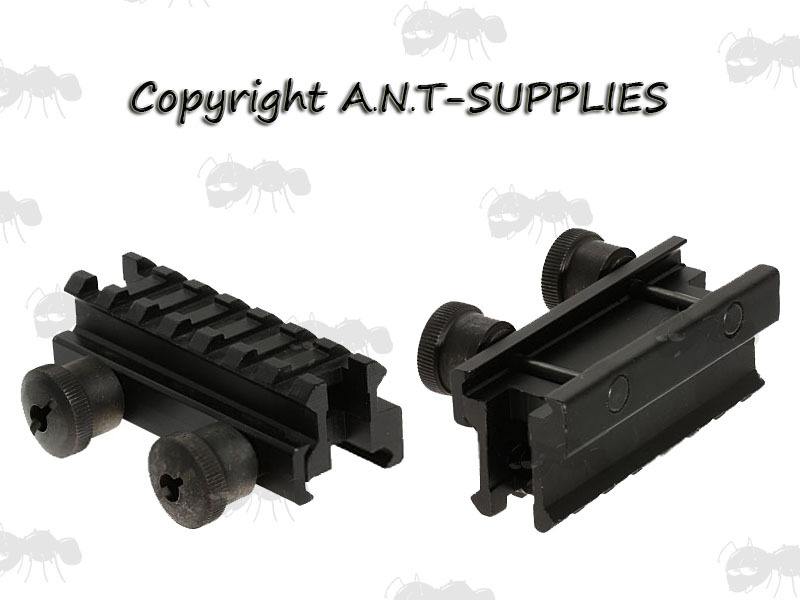 Also available as mini and long length raiser rails.